The Channel Tunnel is a huge construction project, employing over 14,000 people at peak, and costing over <156>11 billion of private money. It has succeeded in spite of great financial, political and techncial difficulties, and a fundamentally flawed contract. This book tells the story of the project, based on the coverage in Construction News and with commentary taken from recent interviews with key project sources. Preface. Introduction. Key dates. Key facts. The end of a dream. A fait accompli? The race for the mandate. Sherwood's surprise. Concessions and treaties. Money and politics. Planning and designs. Morton takes charge. High risk, high return. The contractors start work. All change at TML. Tragedy strikes. The <156>1 billion row. Building the Channel Tunnel. King of the tunnels. TML's <156>1.4 billion bill. History man. More talks but no trains. Brussels backs Eurotunnel. Bombardier's bombshell. Hail to the chief. Site warfare breaks out. The slow train to France. Epilogue. Index. 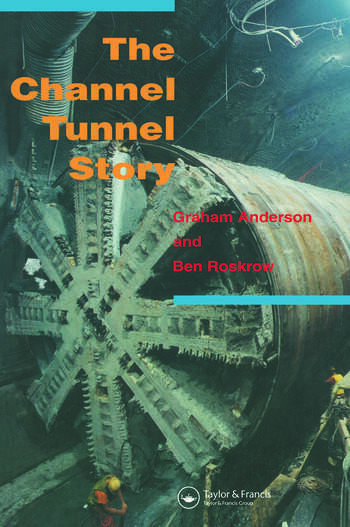 Graham Anderson and Ben Roskrow are both leading construction journalists who have specialised in writing articles about the Channel Tunnel.